The Catholic Church is continuing to lead the charge against the “scourge” of human trafficking. In a new document released on Thursday, the Migrant and Refugee Section of the Dicastery for Integral Human Development offers new Pastoral Orientations to help better understand, and combat, the phenomenon of human trafficking. After discussing the proper definition of human trafficking, Pastoral Orientations goes on to investigate the underlying causes of the phenomenon. It emphasises the importance of acknowledging the reality of human trafficking, and seeks to describe the dynamics of this “ugly, evil business.” Finally, the document examines responses to human trafficking, including increasing cooperation among those fighting this crime; providing support to victims of human trafficking, and promoting the recovery of survivors. 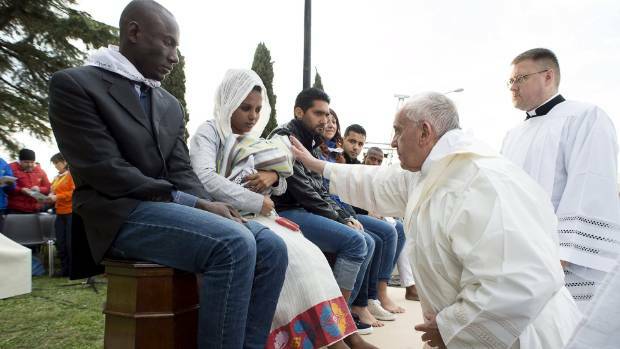 The new “Pastoral Orientations” document was prepared by the Migrants and Refugees Section of the Dicastery for Promoting Integral Human Development. Since its foundation by Pope Francis, the Migrants and Refugees section has acted under the direct guidance of the Holy Father. At the same press conference, Vatican Officials also presented a collection of Pope Francis’ teachings on migrants, refugees and human trafficking, from the beginning of his pontificate through 2007. The collection, entitled “Lights on the Ways of Hope” is also available in a searchable electronic version, available on the website of the Migrant and Refugees Section. The website is expected to be updated every six months with new pontifical teachings.